It is the time of the year when ghost stories are delegated to heightened proportions. And when travelers congregate, there are places which they have visited that seems to be haunted more than others. And although the present time is the age of zombies and the walking dead, still, the old allure of white ladies or headless priests or even those things unseen but make their presence felt make up the pieces of every travelers' haunted place. 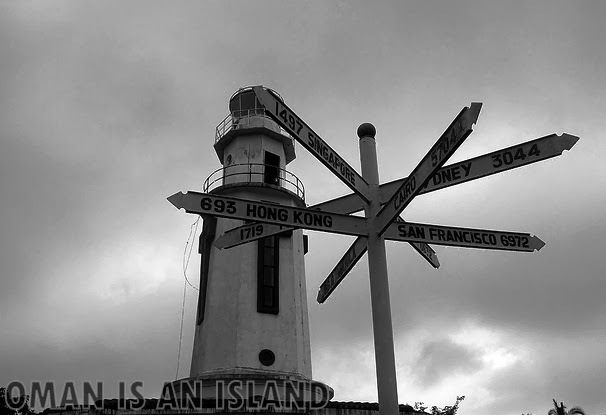 Here is list of the top ten provinces in the Philippines which I consider haunted based on my personal experiences and also from the stories which my co-travelers have told. I would like to qualify thou that I do not have a third eye and most might be urban legends, but still, the list is fun to make. Happy hunting! A foggy Dalton Pass in Nueva Vizcaya is an eerie sight. It does not help that you are in a place where thousand of soldiers died during the Second World War. The spine-tingling coldness combined with the figure-forming fog will definitely scare the hell out of you. Also, when we were in the idyllic place of Imugan doing a night shoot, not once have we felt the presence of a curious spirit who took turns in looking at the view finder of our camera. The Death March in Bataas has left thousand of Filipino and American soldiers dead on the road. Such historical tragedy was immortalized by several landmarks in the province, one of which is the memorial in Mount Samat. Caretaker of the place swear they could see images of soldiers still guarding the place. Also, the heritage houses of Las Casas Filipinas de Acuzar has a resident ghost that welcomes the unsuspecting. 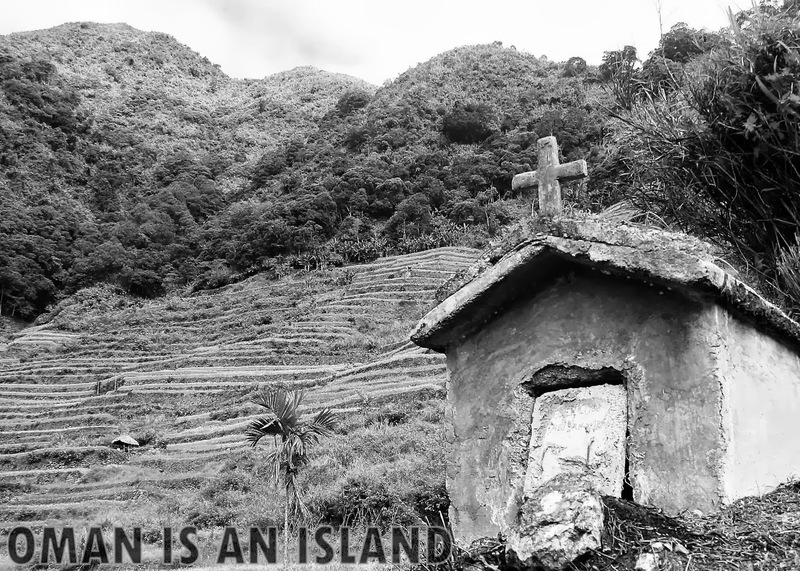 Ifugao is a mountain paradise but it also has its share of spirits that may bother those who unrespectfully violates its traditions. There are several stories of travelers who keeps trekking in circles and never finding its way out. There are also stories of travelers feeling heavy as if they are carrying a weight on their shoulders not knowing that elementals are indeed hunched on their shoulders. Also, one notion I could not forget is seeing niche in rice terraces and when I asked why are they located there, the locals said, they are for travelers who never found their way back. Ghosts and mystical stories are nothing new at Cebu which is home to several century-old churches, houses and other landmarks. The Casa Gerordo Museum and UP-Cebu Campus are known to have apparitions and ghosts that still guards the place. Carcar residents swear that they still see ghost of famous town icon Leon Kilat. 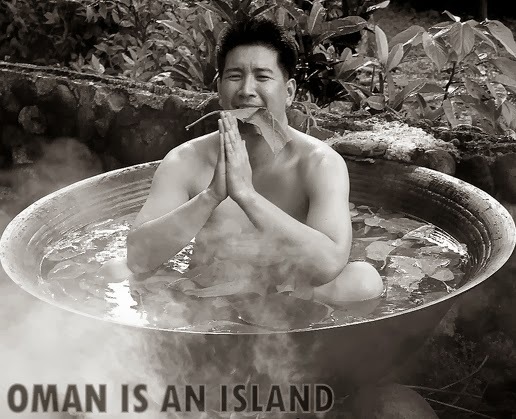 And in Kawasan falls in Badian, elementals are said to take the souls of visitors every year. There is a story that the spirits of the forest locally known as engkanto ask for 60 human souls in exchange for disturbing their once peaceful place. Also not once do visitors see black figures appearing in the pictures of tourists. Remnants of war triggers ghost stories in and around Cavite. 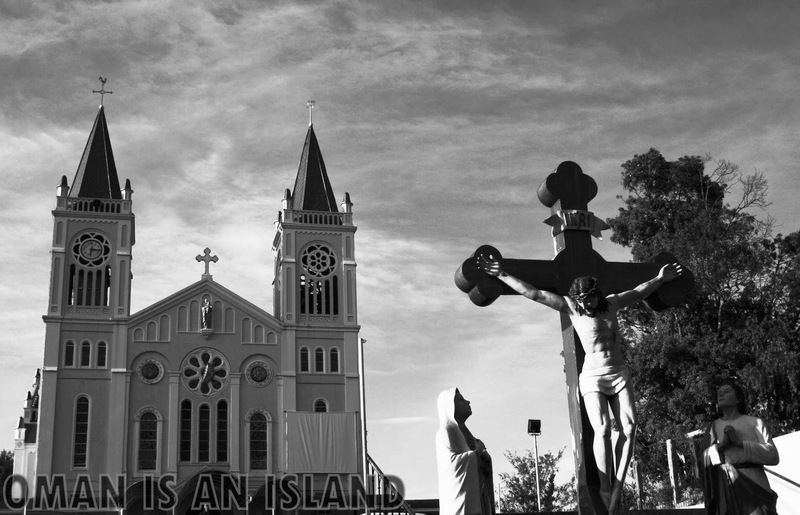 From the old residence of Aguinaldo to the haunting century-old churches of the province. 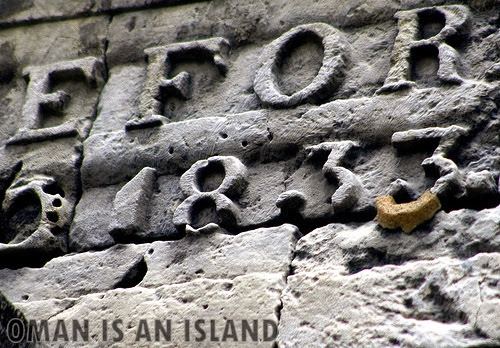 But the main draw of the province when it comes to eerie stories is the island of Corregidor. Almost every nook of the island is said to be ridden with spirits, from the playful kid in the Hotel to the headless army in the Museum. A trip to its ruined Hospital will never fail to raise your hair. And if you walk its streets at twilight, you might just see what you are looking for. The recent crisis has made Zamboanga City literally a ghost town. But prior to the siege, Zamboanga had its own share of ghost stories from headless ghosts in universities to the ghost of heroes in Dapitan City. Also most travelers swear that old hotels in the City are haunted too. Antique is known for elementals or lamang-lupa and vampires. The place is also known for witches who made magic potions using large cauldron. I was fascinated by how folks in there tell stories of their first-hand accounts of witches, spells and ‘elementals’, aswangs or non- human entities, recounted with conviction. Their Mount Madja-as is said to be home of dwarfs and kapre that those who dare go there with bad intentions will definitely not go back completely intact. The country's capital is also considered by some as the country's capital of the haunted. 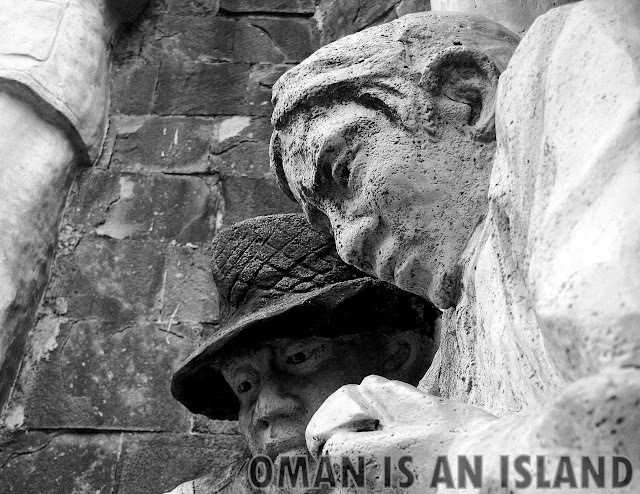 Thanks to the ghosts and spirits of popular landmarks such as the Intramuros where soldiers can still be heard marching, or the Ozone Disco gutted by fire in the early 90s where cries for help are still heard up to this day, or the ever popular Balete Drive where a white lady scares of drivers and passengers who passes by the old Balete tree. The Country's Summer Capital, Baguio City is so haunted that there are Haunted Tours operated therein which covers old cemeteries, Diplomat Hotel, pre-war houses, Baguio General Hospital and other eerie stops. Popular haunted places include Laperal White House, Teacher's Camp and Casa Vallejo. In one of my many trips to Baguio not once have I experienced noises such as knocking on the door and heavy steps but luckily, I have not seen a single ghost there yet. However, my sister who studied in UP Baguio was not so lucky because she always sees a playful young girl in the apartment she rented. Siquijor is dubbed a Black Magic Island and is known for the voodoo-esque traditions of its witches. The place, particularly Barangay San Antonio is widely known for following hundreds of years of traditional folk medicine, while others, known to be witches, allegedly practice hexing or pambabarang. Hexing involves the use of black magic and malevolent spells to cause its victim harm. When I was there, I was advised to be cautious of people tapping the back of the shoulder and to tap them back if they have tapped you so that they could not put a spell on you. The place also has several old churches whom some says are still guarded by old spirits. How about you? What provinces that you have visited do you consider as haunted? Ah, yes indeed, Oman, it is that spooky time of year! All four of my children looked forward to the ghosts and spooky tales as well as the tasty treats that went with the holiday!! Fun, interesting post for the day as always!! Have a great weekend, stay clear of the ghosts!! I'm a scaredycat so I try not to go where the spooky are. I'm also a scaredycat as well, but going to these places is a challenge. 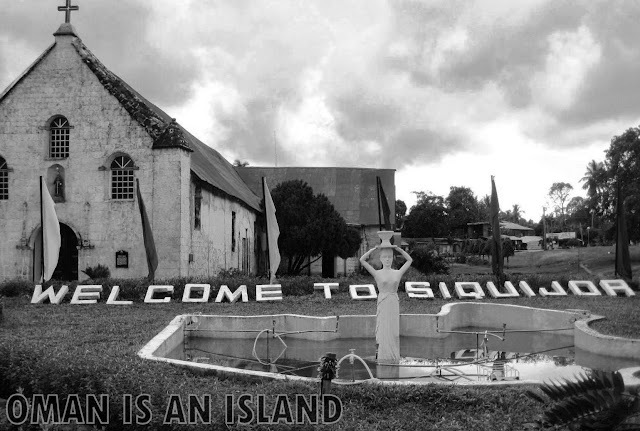 I have always wanted to go to Siquijor. Antique, though was my home for 10 years since I was born, but I never saw anything extraordinary there, I only heard so many stories from my lola. Growing up, she would tell me she had a friend aswang who was friendly to her because the aswang was very fond of my cute dad when he was a toddler. My Nanay (lola) would tell me to say "Tabi-tabi" everytime I get to step on some punso, or if I reach a forested place. Now, I miss Antique. If there's one thing I hate Antique for, it's their love and hate relationship with storms, they almost always get a signal 2 or 3, which makes me do the "Ave Maria" chant with my nanay. We left my Nanay and Tatay's bodies in Antique, but we have them in our memories, always and forever. You could also add Iloilo on the list because this province is known for aswangs and tiktiks. I have been to 7 out of 10 provinces in your list. Not bad. I agree with your top two choice. Siquijor and Baguio are known for creepy stuff. 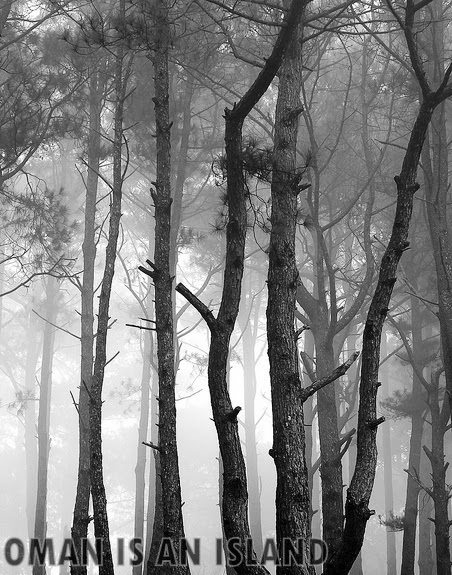 I once experienced horror also in Baguio. 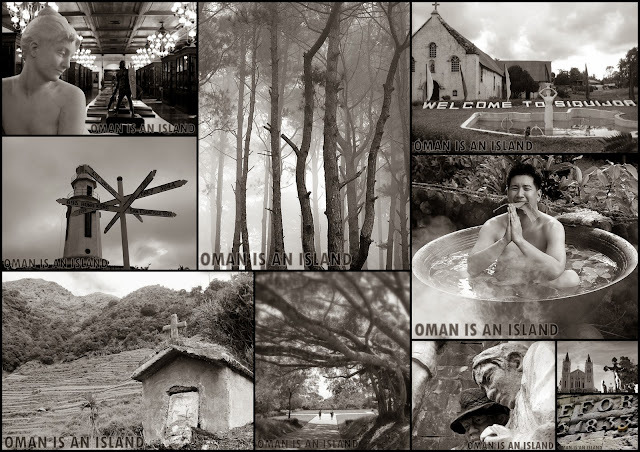 i dont know why capiz dont have some haunted places when i search it in google. i'm living here in capiz and to tell you frankly aswang are not the only elements here in capiz.our province also has this places that you wouldnt dare to go. we have this place named: " hortus bontanicus " its actually a botanical garden it is located at the top of small mountain. me and my classmates came there to shoot our horror film for our school our first day is great since the place is so beautiful because of the botanical flowers that is being plant around the place but when it started to get dark we already felt a chills like someone is staring at as. and people who lives there the way they look at as its like we are not welcome to be in there. one of my friends who is with us that day told me that at the end of the garden which happeneds to be in the woods has an abadoned building he already have a glance about the building because he already been there before. its already 6:00pm when me and my classmates smells this unusual scent. that smell was produced by an insect and here in capiz if you smell that scent it means aswang are just around you. then when 6:30pm came we decided to go home since its already dark around us . the place doesnt have lights except to the guard house that is in the gate. when we started to pack our things one of my guy classmate whistles borishly then we all laugh because it sounds so funny but the next thing makes us all shut up. because someone in the dark part of the place whistles back. we all look at each other then my other classmate whistles again to make sure that what we heard is true we waited about 1 minute someone whistles again but using a creepy voice we started to panicked and we run as fast as we could to reach the guard house. the next day we told it on our teacher and she told us that the place was guarded by this "engkantos" . when i told it to my mom she scold me because one of her friends told her that hortus botanicus is a dangerous place someone was being exorcist because of that place and most of the people who is living in there are aswang.